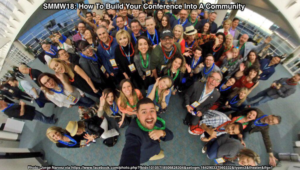 In addition to building Social Media Marketing World into a wildly successful conference, Mike Stelzner and his team have created a global community. This is no small feat because communities consist of dynamic experiences that evolve over time. Many conferences provide speakers, sponsors and attendees with quality experiences, yet not all of them develop into thriving communities. The Social Media Examiner team has created more than a massive fire hose of live content. They’ve built a global following that supports the larger community before, during and after each event. Maintaining this thriving community is core to Social Media Examiner’s mission and long-term success. Assess how Stelzner and his team have built this conference into a vibrant community. Use these bread crumb lessons to create a sense of community to support your business. Define your community clearly in concrete terms with identifiable parts that represent the larger group’s warmth and intimacy. This maintains and develops the collective experience over time. 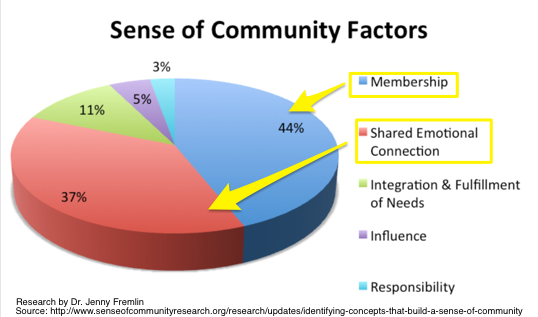 According to David McMillan and David Chavis in Sense of Community: Definition and Theory (January 1986), community consists of 4 core components. Use these 4 elements to build your conference into a community like Stelzner and his team did. Establish boundaries. To create a recognizable structure that allows you to identify members and protect the group. Provide emotional safety. By including appropriate individuals, trust is built among members. In turn members express their needs and feelings allowing intimacy to develop. Contribute to the community. A feeling that you’ve earned your place in the group deepens your sense of belonging. Share common symbols. Use visual signs to show that you’re a member. Community members feel that they matter to the group and that the group matters to them. Members must care about the community. As a result, it exerts influence over them. In return members receive value that they want to keep. People belong to groups where they feel they have a say and their opinion matters. At the heart of a community is its pay-it-forward approach where you’re encouraged to help others first. This acknowledges the needs, values and opinions of its members before you expect input from the group. A community must solve a problem or fill a need for its members to make it worth their investment of time and resources. Members feel rewarded for their participation and continue to actively participate. Members have a history of shared experiences that form lasting, emotional connections that they expect will continue into the future. 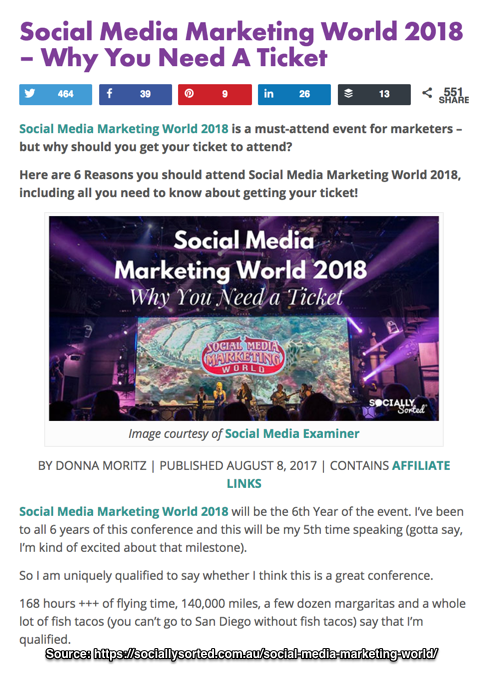 While speakers, sponsors and attendees have their own conference agenda, few conference producers develop an on-going community like Social Media Marketing World. Find new clients, forge partnerships, and meet influencers to build your business. Improve your standing as an influencer and broaden your social media following to expand your reach. Gather information about the latest trends and acquire specialized skills to increase your knowledge. Create related content for your audience to deliver useful information. But conference producers must go beyond fulfilling these needs to develop an on-going community that exists independent from the event. Here are the 5 ways that Social Media Marketing World accomplishes this. In 2018, Stelzner and his team broadened Social Media Marketing World’s conference offering to include content creation. This expanded event focus required additional content in terms of more topics including more specialized knowledge. All Access Ticket. Was the full conference enchilada. It included pre-event workshops, keynotes, sessions, meals, networking plaza (aka: exhibit hall), and parties as well as the post-event recordings. Marketer Ticket. Targeted social media professionals. They received access to the keynotes, all sessions (but no workshops or parties) and networking plaza. Creator Ticket. Was tailored to influencers, bloggers, video creators and podcasters. Creators got access to the keynotes, creator sessions, and networking plaza. Community Ticket. Allowed attendees into the keynote sessions and Networking Plaza to connect with attendees. To enhance the Networking Plaza’s value, there were live interviews with top speakers conducted by Joel Comm and Sunny Lenarduzzi, live music, and Table Talks. Virtual Ticket. Gave you the knowledge without the travel expense. It provided post-conference videos of all the workshops, keynotes and sessions. Create an affiliate program for your event. This is a win-win especially for speakers and attendees with loyal audiences. At a minimum, speakers post about their participation at your event. The savvy marketers like Donna Moritz and Dustin Stout craft targeted articles and/or newsletters. Speakers are the heart of any conference. Their presence attracts attendees, sponsors and press. Phil Mershon and his event team support speakers to ensure that their content shines with audience-appeal. They sweat the details such as session titles and descriptions. Social Media Marketing World builds community among its speakers who number among the most important influencers. 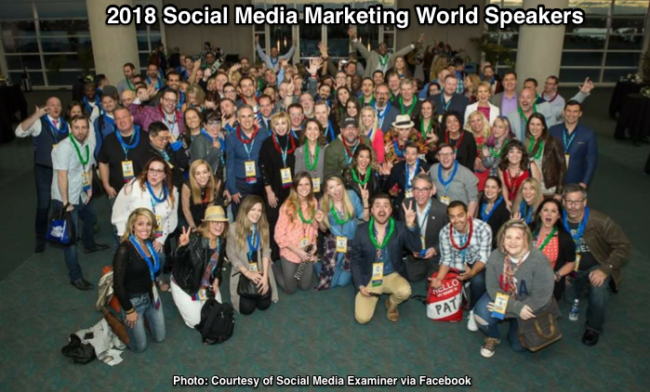 They created a special SMMW18 Speaker Facebook Group where members were incredibly supportive of each other. This enables presenters to expand their community to the larger membership. Further there’s the Pre-Conference Speaker Party where the event’s who’s-who network. This year’s party was organized by Jay Baer and sponsored by TechSmith. I love that Ray Edwards shared an inside look at his speaking experience. Provide presenters with the opportunity to network with each other. This is especially important when people travel long distances to attend (such as Problogger’s Darren Rowse from Australia or Andrew Pickering and Pete Gartland from England). Mike Stelzner and Phil Mershon put community building at the center of their Social Media Marketing World conference plans. Unlike other marketing conferences I attend, SMMW has a Networking Team including Mike Bruny, Jillian Vorce and Deb Mitchell. Its function is to help attendees connect with other attendees. To help, they host a pre-conference workshop, Conference Networking For Introverts: Ninja Tricks and Tips. Want to play hooky from the keynotes and sessions? Join an eating MeetUp to get together with new people and have fun. Give newbies and introverts help in networking. Many attendees, even those that appear extroverted, have trouble talking to strangers. Add a hefty dose of fun to your conference or event. Get attendees away from their devices. As Deb Mitchell advised, the power of live events is the networking opportunities. Let others create related events at or during your conference. 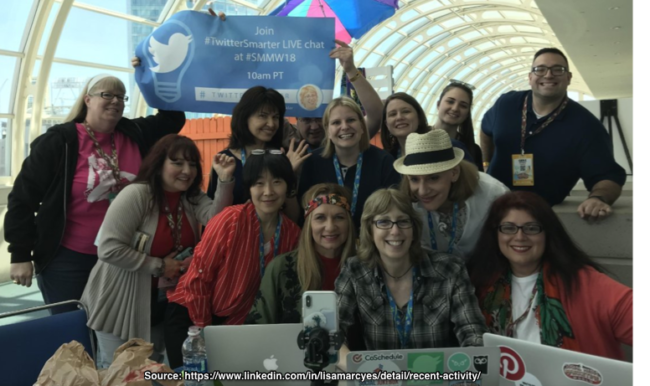 For example, Twitter Expert Madalyn Sklar hosted a live #TwitterSmarter with Lisa Buyer at Social Media Marketing World. Content in every format is the lifeblood of conferences. As I recommended in my Content Ideation session, develop at least 3 to 4 pieces of content at each conference you attend. From a community perspective, conference content expands your event’s reach to a broader audience via social media, owned and third party platforms. While live taping of keynotes, workshops and sessions is prohibited at most conferences, I love this short video that Leslie Samuel made during his session to hit home the point that you need to build relationships first. This year, Carlos Gil brought his team to help create live video content during the conference. Top Rank’s Ashley Zuckman live blogged a number of sessions. Even better, Stelzner not only determines the future social media content trends with his selection of keynote speakers and tracks, but also embraces the top current trends. After Social Media Marketing World 2017, Stelzner created a live video series, The Journey. It gives the community a view into how Social Media Examiner works. Plan your conference content in advance. Arrange appointments with thought leaders and attend knowledge-rich sessions. For example, Top Rank’s Lee Odden often outlines the top conferences and sessions to attend. Create related name-dropper content (aka: Crowd Pleaser Content). Lisa Jenkins asked presenters to contribute to a roundup post. Every community must continue to expand and grow or it withers and disappears as some existing members move on for reasons unrelated to your group. Allocate conference time and resources to build momentum for future events and to expand your community. 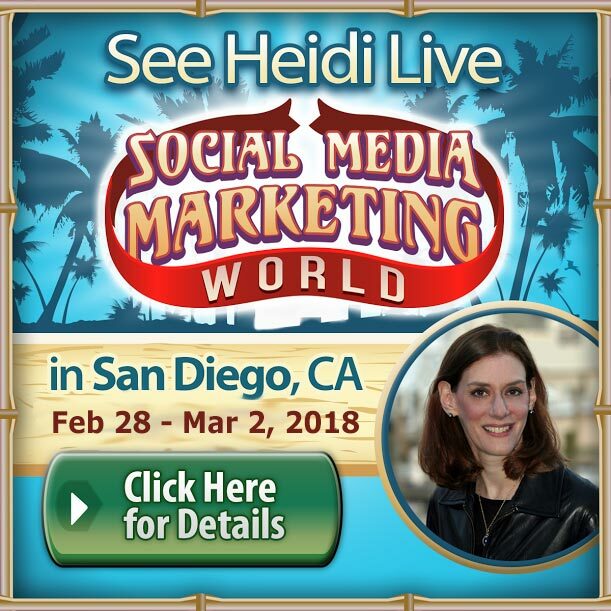 Like other conferences, SMMW offers attendees a super low price for the next conference. Additionally, Emily Crume and her sales team were available to speak to potential SMMW19 sponsors. Watch for people you want to involve in your next event. As an attendee bring your A game since conference producers are always looking for new talent. Help contribute to the social media conversation. Live-tweet key information from the sessions you attend and share your photographs and videos. The true gold in producing a mega-conference is transforming it into a thriving community. Because its members will help you to build and expand not only your live event, but also your other online communities and sources of revenue. 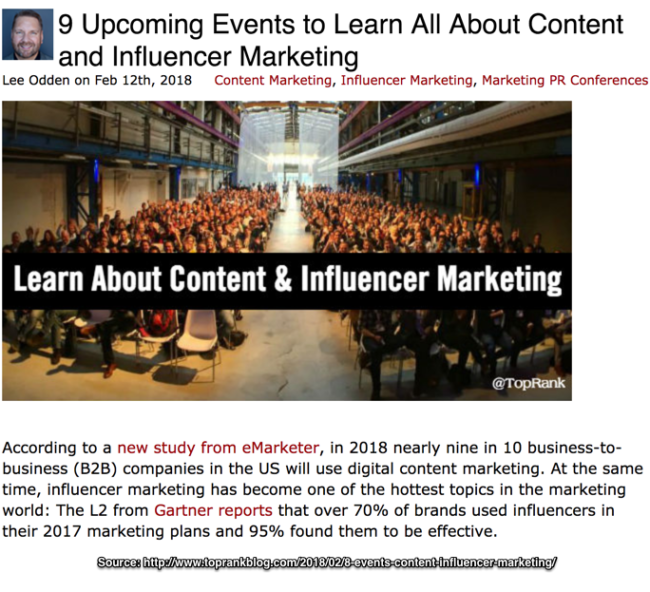 Mike Stelzner and his team provide an excellent case study of how to create an on-going base of members who are raving fans that continue to return to their content and events in order to stay on the leading edge of social media insights. 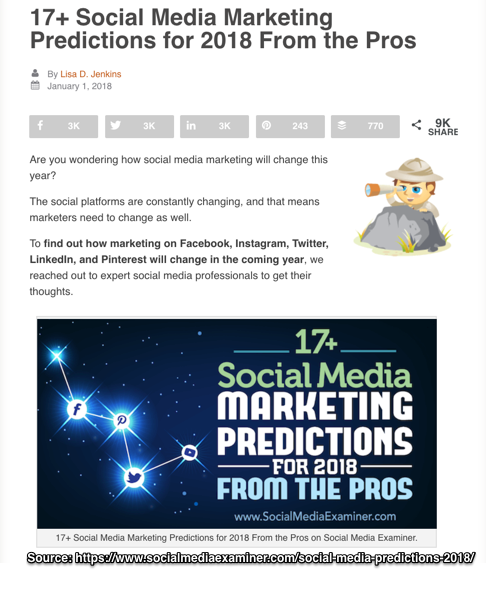 Further examine Social Media Marketing World critically and you’ll see that Stelzner generously shows you the path to take from conference to community and beyond. He’s left you breadcrumbs to success. Pay attention and use those signs to develop your own successful community. Go on transform your conference or event into a community! Speaker photo via Social Media Marketing World from Facebook. Tags Ashley Zeckman, Carlos Gil, Chavis, Community, Conference, Deb Mitchell, Emily Crume, Fremlin, Lee Odden, Leslie Samuel, Lisa Buyer, Lisa Jenkins, Madalyn Sklar, McMillan, Mike Stelzner, Phil Mershon, Ray Edwards, Rebekah Radice, Social Media Marketing World. Bookmark the permalink.